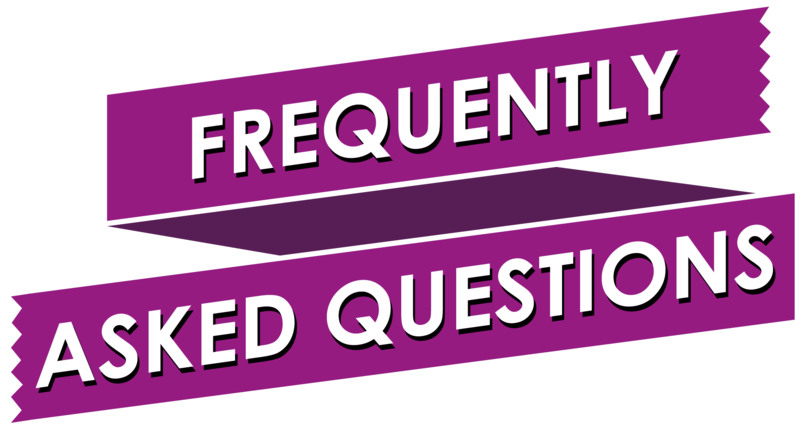 FAQs – The Professional Communication (PVT) Ltd.
What is required for the internet service on NOVA FTTH? In addition to the ONT, you require a Computer to connect to the ONT. A Broadband Router or a Wireless Broadband router is only required if you want to connect multiple computers to the Internet at the same time. Can I use my DSL modem or router with the NOVA FTTH? No. DSL modulation only works on Copper. The NOVA FTTH is not a DSL connection. For this reason, you cannot connect your DSL modem or a DSL router with the NOVA FTTH. We prefer to call it ‘High Speed Internet’ or ‘Extreme Broadband’. What type of Router is recommended for use with the NOVA FTTH? Broadband routers in the market are equipped with an Ethernet or Fast Ethernet WAN port and typically have four Ethernet switch ports for connecting Computers. Such a router has no DSL port. NOVA uses TP Link Broadband routers for residential and SOHO customers. For volume-based internet account, the router must support PPPoE client functionality. Linksys, DLINK and other brands of broadband routers can also be used with the NOVA FTTH. Can I use my own router instead of NOVA-supplied router? Yes. If you need any help, our team will visit and configure any router provided by NOVA. Team visit will be charged as per NOVA policies. Can I use a Cisco Router with the NOVA FTTH? Yes. You would need a Cisco Router with two Ethernet or Fast Ethernet ports. You can use one port as a WAN port and the other for connecting to the LAN. If you are using a volume-based internet account, you need to ensure that the Cisco IOS version you are using supports PPPoE client functionality. Can an Ethernet-based IP firewall be used with NOVA FTTH? Yes. If the firewall has an Ethernet WAN port (usually labeled “External” or “outside” interface), you can use the firewall with the NOVA FTTH. Examples of such firewalls are Cisco PIX Firewall, Juniper Netscreen, WatchGuard and numerous others. I need a Pool of ‘real’ IP addresses on my Internet Account. Is this possible? Yes. Please contact sales@nova.net.pk for tariffs. This IP address Pool can be used with a Premium or a volume-based account. Real IP Addresses might be needed if you want to run a server that requires a real IP address. What is meant by NOVA Video? NOVA can provide Basic Cable TV from it’s Optical Network Terminal (ONT) installed at the Customer Premise. Is NOVA Video Basic or Digital? Both. To view digital channels, you need to add Set Top Box (STB) with your TV set. How many channels does NOVA Cable TV provide? NOVA currently distributes a total of seventy basic cable channels from its video head-end. Does NOVA Cable TV have in-house CD channels? How many digital channels will be available on the NOVA Cable TV? 160 + digital channels are available on the NOVA Cable TV. A set-top box is required to view the digital channels. If you have multiple TV sets and you want to watch digital channels on different TV sets then each TV set would require a set-top box. How many TV sets can be connected to the NOVA ONT? How does NOVA FTTH Cable TV service differentiate from other Cable TV service providers? FTTH will mean more video channels with more choices, because the bandwidth limitations of the older cable system will not apply. All the channels will be of highest digital quality. The new trends in television technology call out for huge amounts of bandwidth that only fiber can provide. What is FTTH Digital Cable? NOVA Digital Cable is a brand new way for NOVA to deliver high quality digital television signals to your home. Digital technology enables us to “compress” the signals, thereby providing you with high-quality picture and sound — all without the dish or an antenna. What are the benefits of FTTH Digital Cable? NOVA brings high performance and cost-effective digital cable receiver to view digital channels with crystal clear picture and unique sound effect. Convenient access to programming, increased viewing control and a better customer experience are just a few of the benefits you will enjoy with NOVA Digital Cable. With 35 eye popping digital channels you will be able to enjoy your favorite hit movies, sports, news, Islamic and other channels with more clarity than ever. The basic cable service provided by NOVA as compared to regular basic cable TV is far better in picture quality. The technology used for both of these services is Radio Frequency. To understand the difference between afore mentioned services it is essential to understand the difference between Optical Fiber cable and the COAX cable which carry the CATV signal to customer premises. The main differences are like bandwidth, distance, lower loss, greater reliability and interference. Fiber optic cable has the ability to carry much more information and deliver it with greater fidelity than coaxial cable. It supports higher data transfer over greater distances than coaxial cable, making it ideal for the transmission of any kind of data and video. Because the conductor is glass and cannot conduct electricity, fiber is immune to virtually all kinds of interference. Therefore, it can come in direct contact with lightning, high voltage electrical equipment, and power lines. It will also not create ground loops of any kind. The glass core will not corrode and is unaffected by most chemicals. It can be buried directly in most soil, or it can be exposed to most corrosive atmospheres. Fiber optic cables are virtually unaffected by outdoor atmospheric conditions, allowing them to be lashed directly to telephone poles or existing electrical cables without concern for extraneous signal pickup. Fiber optic cable is ideal for secure communications systems since it is very difficult to tap but very easy to monitor. Additionally, there is absolutely no electrical radiation from a fiber. Keeping in view all these factors, it is obvious that FTTH CATV will deliver same picture quality as it received by a satellite receiver in the Video Head end. Further with FTTH cable providing more attractive services like HDTV, digital cable, VOD and IPTV is very easy so having FTTH cable in your house is always an advantage. You can have all these services on a single connection and you don’t have to change the service provider time and again. Digital television (DTV) is a telecommunication system for broadcasting and receiving moving pictures and sound by means of digital signals, in contrast to basic signals used by basic (traditional) TV. DTV uses digital modulation data, which is digitally compressed and requires decoding by a specially designed television set, or a standard receiver with a set-top box, or a PC fitted with a television card. Digital television is more flexible and efficient than basic television. Digital television allows a much clearer picture, better sound quality and more programming choices than basic does. Consumers also benefit because digital broadcasting allows stations to offer improved picture and sound quality and much greater number of channels. A digital Set-Top box will allow you to continue using your existing basic cable TV to watch over-the-air digital broadcasts. You do not need to get rid of your existing basic cable TV. In addition, basic sets should continue to work as before. Also, basic sets will continue to work with gaming consoles, VCRs, DVD players, and similar products that you use now. Both basic and digital signals get weaker with distance. However, while the picture on an basic TV slowly gets worse for more distant receivers, a picture on a digital set will stay perfect until the signal becomes too weak for the receiver to pick it up. By perfect I mean the picture on the TV is exactly the same picture the broadcaster started with at the transmitter. In a digital signal, a one is always a one and a zero is always a zero. What is the difference between Basic and Digital TV? The difference between Basic TV and Digital TV boils down to the way the TV signal is transmitted. Standard basic TV is transmitted in a manner similar to radio. Basic TV transmits the video signal in (Amplitude Modulation) AM, while the audio is transmitted in (Frequency Modulation) FM. Basic TV is subject to interference, such as interference, picture jitter/freeze and snow, depending on the distance and geographical location of the TV receiving the signal. In addition, the amount of bandwidth assigned to an basic TV channel restricts the resolution and overall quality of the image. The current basic TV signal standard varies from country to country in Pakistan Pal B/G is used. Digital TV, or DTV, on the other hand, is transmitted as data bits of information, just as computer data is written or the way music is written on a CD. In this way, the signal is basically “on” or “off”. In other words, the intent of DTV technology is that the viewer either sees an image or nothing at all. There is no gradual signal loss as distance from the transmitter increases. If the viewer is too far from the transmitter or is in an undesirable location, there is nothing to see. It is important to understand that the DTV transition is a transition from basic broadcasting to digital broadcasting. It is not a transition from basic broadcasting to High Definition broadcasting. 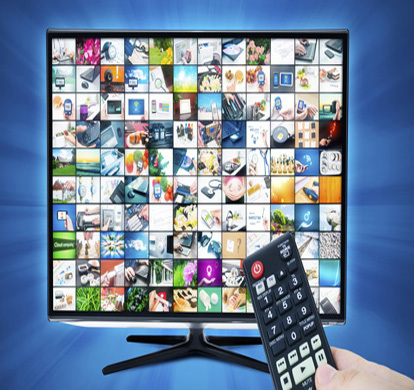 Digital broadcasting allows for High Definition broadcasts, but High Definition is not required, and you do not need to buy a HDTV to watch digital TV. A Standard Definition DTV (which is simply a TV with an internal digital tuner), or a digital Set-top box hooked to an basic TV, is all that is required to continue watching over-the-air broadcast television. Digital broadcast television includes both Standard Definition (SD) and High Definition (HD) formats. You can watch High Definition programming on a Standard Definition DTV (or on an basic TV hooked to a digital set-top box), but it won’t be in full High Definition quality. It is also important to know that Standard Definition DTVs are comparably priced to similar sized basic TVs. Digital content currently is delivered in one of five formats: 480i, 480p, 720p, 1080i, and 1080p. The 480i format is the same as that used for standard basic TV, and when programming originally in 480i is delivered by digital cable or satellite to your home, it retains that format. TV purchasing tips: difference between plasma and LCD, which one is better for which occasion? Television sets are available in various screen sizes and manufactured with various different technologies. The main difference lies between an basic television set and a digital television set. An basic TV is based on the older Cathode Ray Tube (CRT) technology for displaying moving images. The newer range of television sets are manufactured using either of the LCD, TFT-LCD, Micro-display or Rear-Projection, or the Plasma display technology, each of these technologies differ from each other in the way the image is finally reproduced. These technologies also differ from the conventional CRT display screen by way of size, clarity, weight, thickness and overall rendering of color and object details. Sound re-production though can be enhanced using an external sound processing unit such as what you might find in a stand-alone home theatre system. A Liquid Crystal Display (LCD) screen is based on the illumination of millions of tiny crystals, called pixels (picture elements), excited by an electric current. It is usually referred to as a Passive Matrix LCD screen. Each pixel emits different intensities of light and color according to the actual image. A high value for color and contrast ratio would produce picture rich in overall details and quality. LCD TVs consume only one-third the power consumed by CRT televisions of the same dimensions. LCD TVs are as thin as 4 inches and generally weigh a maximum of 10 pounds, allowing for saving up to 90% of space. It belongs to the category of digital displays as it can also display computer graphics as well as high-definition and standard TV broadcasts. A TFT-LCD TV uses an array of special thin film of transistors (TFT) controlling and illuminating an array of an equal number of pixels. The transistors reduce the time taken to illuminate or shut off a particular pixel at a rate faster than the older LCD circuitry. This reduces the time taken to draw consecutive images as compared to LCD screen. A TFT-LCD television has at least a million pixels or ‘mega pixels’ for reproducing images. A TFT-LCD TV having a resolution of more than one mega pixels offers better sharpness as well as a larger viewable area. By dimensions, it measures similarly to a LCD screen in thickness. Resolution, or picture detail, is the main reason why HDTV programs look so good. The standard-definition programming most of us watch today has at most 480 visible lines of detail, whereas HDTV has as many as 1,080. HDTV looks sharper and clearer than regular TV by a wide margin, especially on big-screen televisions. It actually comes in two different resolutions, called 1080i and 720p. One is not necessarily better than the other; 1080i has more lines and pixels, but 720p is a progressive-scan format that should deliver a smoother image that stays sharper during motion. Another format is also becoming better known: 1080p, which combines the superior resolution of 1080i with the progressive-scan smoothness of 720p. True 1080p content is scarce outside of Blu-ray, HD DVD and the latest video games, however, and none of the major networks has announced 1080p broadcasts. Check out our comparison chart to see how HDTV stacks up against standard TV and progressive-scan DVD, and go to HDTV resolution explained for more detail. What is the difference between Digital Cable and satellite services? Unlike satellite services, the signal from Digital Cable cannot be interrupted by snow, rain, and high winds. With a satellite dish, something as simple as medium to dense cloud cover can cause a satellite picture to be degraded or hazy or freezing at intervals. For NOVA Digital Cable you do not have to buy a dish that needs to be installed outside or on roof top of your house. You will get your favorite Cable TV channels straight to your door step along with other services like Telephone and Internet on a single fiber optic cable. How do I get NOVA Digital Cable TV? We can schedule to have your new cable box delivered and installed or you may even be able to come in and pick up a box at your convenience (if you are an existing NOVA customers). You may also contact NOVA customer service at UAN: 051-111-111-872 a customer service representative will be happy to provide the information you are looking for. What is IP TV? When it would be available? 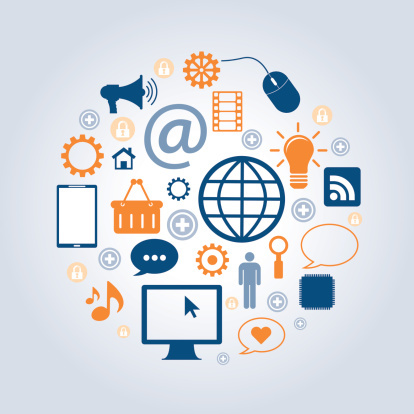 Internet Protocol Television is a system where a digital television service is delivered by using Internet Protocol over a network infrastructure, which may include delivery by a broadband connection. 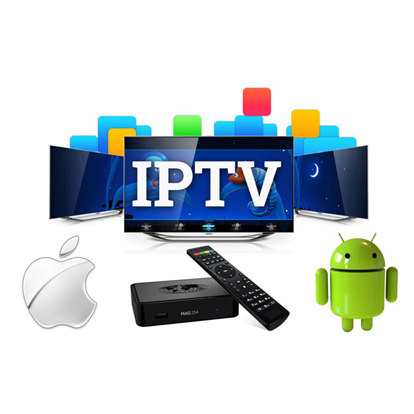 A general definition of IPTV is television content that, instead of being delivered through traditional broadcast and cable formats, is received by the viewer through the technologies used for computer networks. IPTV is in fact a DTV implementation. VOD stands for Video on Demand. 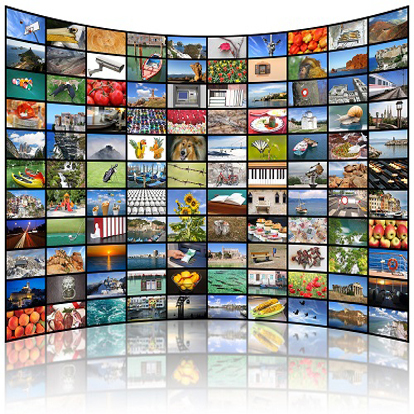 VOD is an application of digital TV. VOD permits a customer to browse an online program or film Catalog, to watch trailers and to then select a selected recording for playback. The payout of the selected movie starts nearly instantaneously on the customer’s TV or PC. Can HDTV be made available on digital, on IP or both? Yes. HDTV can be provided in both DTV and IPTV. If we provide HDTV in digital it will need more bandwidth and hence we can multiplex lesser channels into our RF, while providing HDTV over IP will not have such limitation. The limiting factor here will be the user end bandwidth. The provider can give as many channels as he wants. What type of TV do I need? NOVA Digital Cable TV service is compatible with all TV types. A cable ready Tune Able TV will allow reception of local service below channels 49. To take advantage of NOVA Digital Cable TV service, a TV must have a video and audio input. The input can be the typical yellow, white and red cables or a 3 wire component or an S-Video along with audio cables. High Definition (HDTV) service will require an HDTV, an HD STB, and HDMI or DVI cables with an adapter. Are all TVs “cable ready”? Televisions manufactured in the early 90s (1991 to 1995) and labeled “cable ready” tend to have limited channel capacity ranging from 0 to 30 or 40 channels. In this case a converter box is still necessary in order to receive channels located on higher frequencies. Televisions manufactured in 1996 and later were built with increased channel capacity, capable of receiving as many as 130 channels. Some TVs, however, are simply monitors, requiring additional equipment to receive the cable signal. To determine if your current television is cable ready with the desired channel capacity, consult the user guide that came with your television. It will specify capabilities of particular make and model of your TV. If you no longer have the user guide, contact the manufacturer to determine the specifications for your TV by contacting your vendor or accessing this information from the Internet. If you are planning to purchase a new TV, be aware that not all of them are cable ready. Have an improved tuner that is more resistant to interference than traditional tuners. Be able to tune cable channels according to an FCC-approved channel plan. Be equipped with a special connector that allows cable service to be connected directly to the television without the use of a set-top converter box.